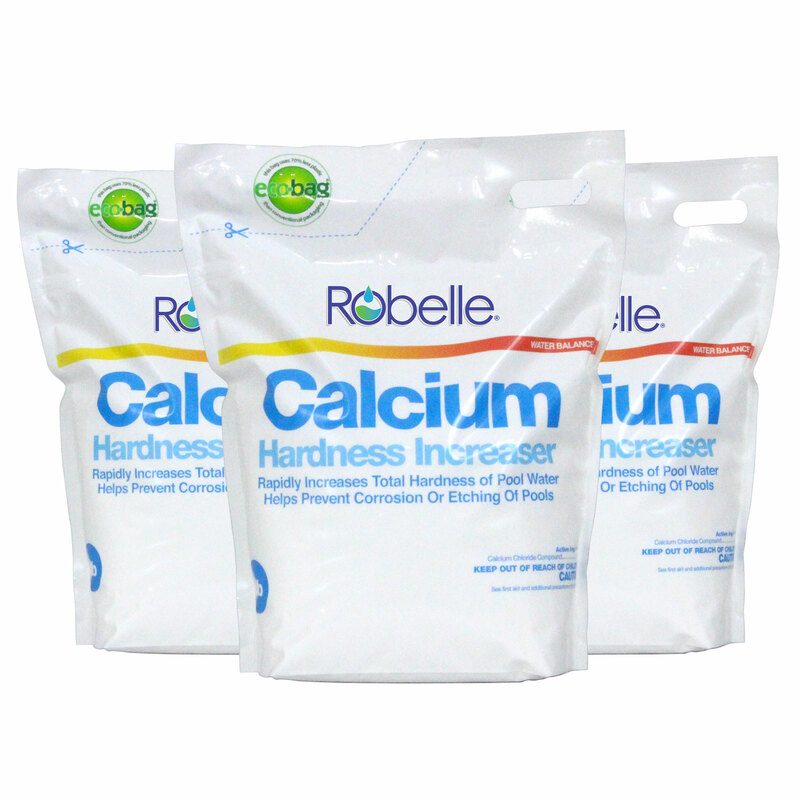 Robelle Calcium Increaser is used to raise calcium hardness levels when measures drop below the recommended range of 200-400 ppm. 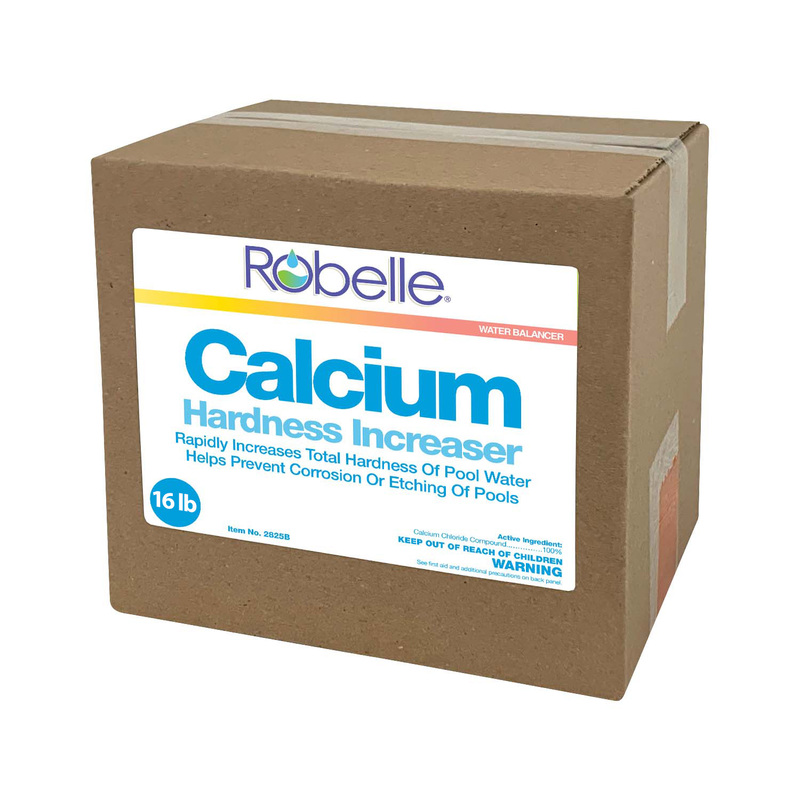 If calcium hardness levels are too low the "soft water" will corrode pool equipment, etch pool plaster, and may cause metallic stains. To raise the hardness level by approximately 50ppm is necessary to add 6.25 lbs per 10,000 gallons of pool water. Since 1973, Robelle Industries, Inc. has been supplying quality swimming pool chemicals, winter pool covers and accessories to regional and national chains, as well as to New England's pool specialty dealers. In fact, over the last four decades, northeast swimming pool owners have used more Robelle pool care products than any other brand. The Robelle mission is to bring its customers the best product for their swimming pool dollar. They are dedicated to seeking out new product formulations which meet the highest standards of pool chemical efficacy and product durability. Determined to safeguard its trusted Robelle name, they have painstakingly built a line of quality swimming pool chemicals that includes everything pool owners need to keep their swimming pools clear, clean and healthy. 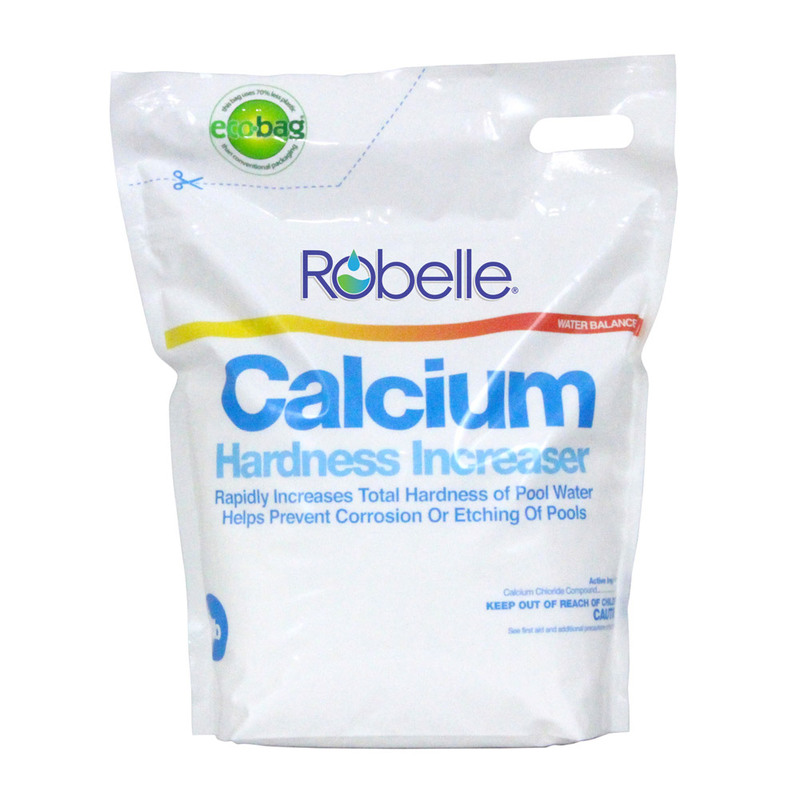 The Robelle brand means superior quality routine pool care products, cleaners, algaecides and other pool specialty products at a reasonable price.